Magical Bitcoin is another investment scheme that has started to circulate within the Bitcoin ecosystem. Promising returns that would baffle most financial experts, MagicalBitcoin.org assures prospective investors that they can double their Bitcoin deposits within a 24-hour period. Operating as a completely anonymous service provider, Magical Bitcoin is a curious and unverified investment scheme that was created only a few short weeks ago. Whether there is any stock to these irrational doubling claims will be the focus of this unbiased review. Magical Bitcoin is an online Bitcoin portal that promotes the unrealistic promise of doubling all investors deposited bitcoins within a 24-hour period. 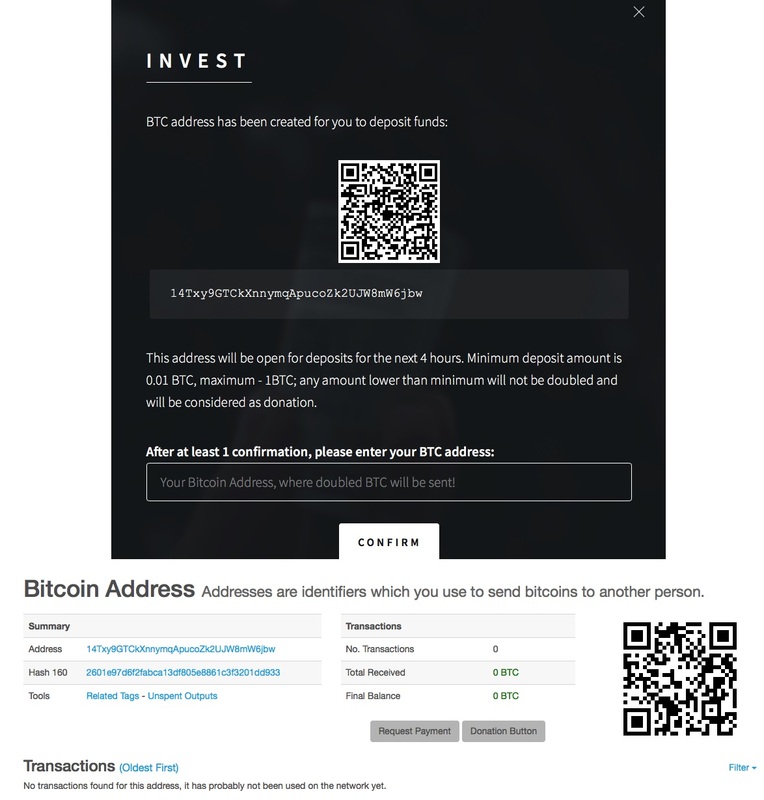 The site, MagicalBitcoin.org, fails to divulge any information of relevant value. No information regarding operational procedures, ownership or terms and conditions are revealed anywhere on the site. To be blunt, Magical Bitcoin operates with no operational protocols and embodies all the characteristics of an investment hoax. Suspicious in the sense that each of the users who are endorsing Magical Bitcoin are new to the BitcoinTalk forum and are claiming doubled Bitcoin deposits. To reveal the false authenticity of these claims, all investors have to do is dig a little further into the bogus measures pursued by these likely fake entities. While some of the users share their Bitcoin transactions to create the illusion that their claim is absolute and legitimate, a quick comparison will show that Magical Bitcoin’s blockchain transactions will reveal nothing of the nature. Obviously! Promising to double all BTC deposits within a 24 hour period is not only unrealistic but absolutely absurd when you take into consideration the lack of operational information shared on the site. A WHOIS report will reveal that MagicalBitcoin.org was created on December 20th, 2017. Privately registered, the creators behind this site covered up their tracks well to hide their identity. Magical Bitcoin is an anonymous investment scheme that fails to provide any ownership information. No contact information can be found anywhere on the site while the only way of establishing contact with this site is through a contact submission forum featured on their Contact page. The site does more than evasively portray their operation by not divulging any investment or operational information of the sort. Due to how unpopular and new of a site that Magical Bitcoin is, it fails to secure a global ranking among market intelligence sites as of January 2017. Furthermore, the site shares no affiliation with any legitimate websites to date. Magical Bitcoin is an outright scam targeted towards inexperienced Bitcoin investors. Promoting returns that dwell beyond the realm of plausible, we suspect this deceptive investment scheme to be eradicated from existence within a few short months. Avoid all these magical and too good to be true investment schemes and only invest with practical investment opportunities like the ones found in our Cryptocurrency Day Trading Center. Review Verdict: Magical Bitcoin is a SCAM! Have you suffered losses to Magical Bitcoin? Please report any experiences, thoughts or feedback you may possess by leaving a comment below!